An expert on interactive storytelling techniques with twenty-five years’ experience, Eva Grayzel brings new business strategies to life through the power of story. Eva teaches the value of great stories, how to find the right story to tell and how to craft it for your purpose using an easy-to-remember-and-apply-formula. 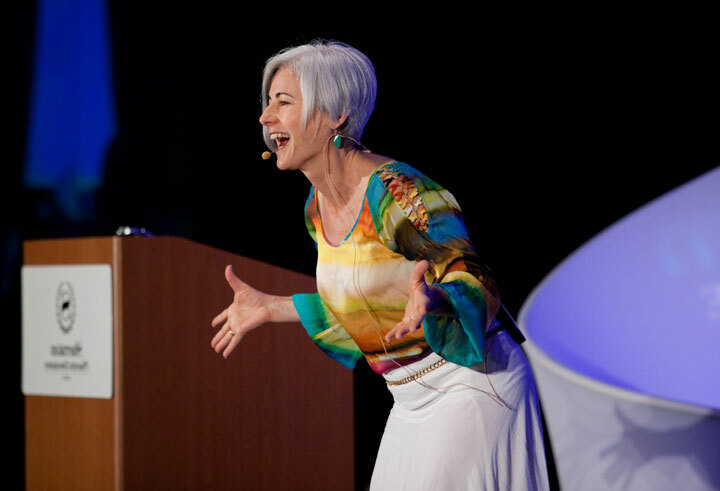 Eva’s team-building programs are unique in how she makes stories interactive, spontaneously involving members of the audience. How do you inspire trust, build a client base and increase commitment to products and services? It’s all in the story! Facts and figures alone don’t engage attention or influence change. 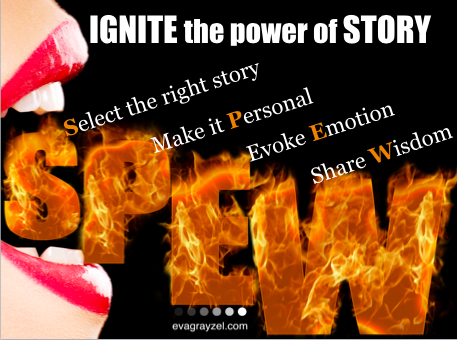 Tap the power of story to evoke a connection, build relationships and foster client loyalty. Find the story that exemplifies your value and showcases what makes you stand out among the competition. Storytelling is the single most powerful tool to build teams and connect with co-workers. Using interactive storytelling techniques, Eva narrates stories with meaningful and theme-centered messages while audience members spontaneously role-play the characters. This memorable, laugh-inducing program exposes the humor, individuality and value of every member of the team. As performed Off-Broadway, Eva’s one-woman show enlightens audiences to reassess their perspective about life. Through her firsthand account of hardships unanticipated and overcome, courage unknown and discovered, a mother’s love tested and triumphant, Eva’s story exemplifies the importance of knowing we have choices. It is human nature to lament your losses and a true human skill to recognize your gifts.